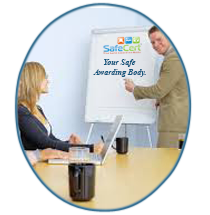 We at SafeCert Awards provide the accreditation service through our awarding body, to provide our accredited trainers and accredited centres a range of Health and Safety Awards. The Manual Handling Principles course, is designed to provide you with the knowledge and understanding. This will equip those in the workplace with the necessary knowledge in manual handling objects safely, to undertake manual handling tasks during their working day. This award can be completed in 3 hours, so can be completed in a morning or afternoon training session. The qualification can be tailored to suit any business including the needs of the individual, enhancing the learning experience and making the content relevant and fit for purpose. The qualification is valid for 3 years and all learners will be assessed for their knowledge in the form of a multiple choice question paper. 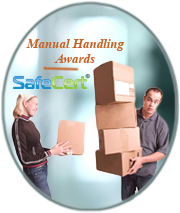 If you require to also learn and practice the skills of manual handling, we also have the larger award called Manual Handling Principles and Practices a 6 hour award.